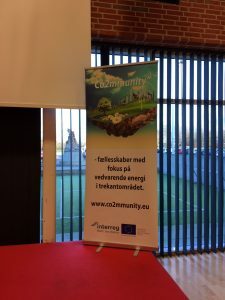 In Middelfart, the first 5 RENCOP meetings were held with the communities of Vejen, Fredericia, Billund and Middelfart last month. The aim is to outphase oilboilers and replace them with heatpumps taking renewable electricity off the grid. Another round of meetings is scheduled for the 12th March where people will be offered the opportunity to buy heatpumps together.